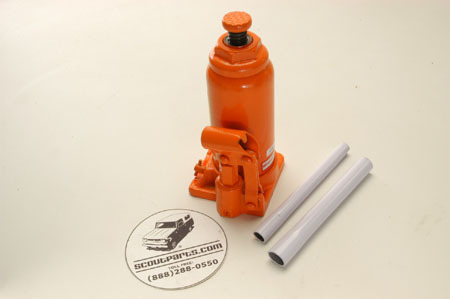 We now offer you this hydraulic jack to help you work on your truck. This bottle jack has a 3-ton capacity, and an acme-threaded post for additional height adjustment. This can be used to replace the original factory screw jacks used on Scouts too.